The philosophy of our team focuses on providing clients with a successful journey through the design process. Our goal is for the entire experience of creating a home should be fun and enjoyable. Known for creating welcoming, naturally elegant spaces for every day living. We help you bring your vision to reality so your home reflects you and your dreams. Through your eyes, wants and desires, we listen and re-imagine your home to be your muse. We've been In the design and building business for 15 years, completing more than 150 projects in Palm Beach, Florida, Philadelphia, Mainline and Western Mainline, Pennsylvania. Our clients tell us they love working with us because we help them visualize their new space prior to the transformation. With our approach you can consider options and choose the one that most fits your interests, aesthetics and needs. Let us help you transform your space into a home you truly love to spend time in! CULLMAN & KRAVIS ASSOCIATES is a New York City based firm known for providing the highest quality of design excellence and personal service since 1984. We collaborate closely with our clients. Hughes Design Associates is a highly respected design firm known throughout North America, the Caribbean, and the Bahamas for specializing in luxurious custom interiors. We have been serving interior designers & contractors since 1979. It has been our good fortune to work with prestigious designers from across the country on residential, commercial & yacht projects. From traditional to contemporary, our multi-dimensional style captures the essence of sophisticated design with a flair for the unexpected. Our high-end residential, award winning Interior decorating firm has been featured in such national publications as; Florida Architecture, Florida Design, Florida Trend, City & Shore, Palm Beach Illustrated, Homes by Design, Florida International, Luxe, Inside Out, Miami Home and Décor, Windows and Walls, Palm Beach Home & Decor and Boca Raton Home & Lifestyles. We have also been featured in local newspapers such as The Sun Sentinel, Palm Beach Post, The Palm Beach Daily News, The Miami Herald and The Philadelphia Enquirer. Our Comprehensive Design Services Include: -Residential Design Consulting -New Construction and Renovations – Design and Coordination -Full Interior Drafting, Furnishing Plans and Rendering Services -Custom Lighting -Custom Furniture and Millwork Design -Color, Finish, and Material Specifications -Selection and Purchasing of Furnishings -Artwork and Accessory Selection Complete Installation -Services and Site Supervision Our office is casual. Our attitude is professional. Our work is excellence driven. Anything else is unacceptable. Design du Monde is an Interior Design Firm based in Palm Beach, Florida. We also provide general contracting, plumbing, electrical, carpentry, painting, flooring, and more. Our dedication to perfection is exhibited throughout our portfolio. The ultimate goal is that every finished room be turnkey- accessorized & styled right down to the last beautiful, functional detail. Palm Beach Interior Design Firm Best of Houzz 2015-2017! FW Interiors is a National Design Firm, with locations in South Florida and New York. Our group of designers collaborate to realize our client's desire for a dramatic, personalized interior. We are a full service, Interior design firm. We create customized interiors on budget and on time. Includes kitchen design , custom cabinetry, custom upholstery. HomeLife Interiors is a, 4 time, American Society of Interior Design award winner. Tracy Huntington has, for over twenty years, used her eye for detail, color, texture and space to create classic interiors that reflect the lives of their owners. Verónica Volani-Inza Interior Design, Inc.
Verónica Volani-Inza is a Florida licensed interior designer, a professional member of the American Society of Interior Designers (ASID) and a certificate holder of the National Council for Interior Design Qualification (NCIDQ) with over 14 years of experience. Verónica’s limitless imagination, boundless resources and environmental passion emanate through her work, translating each client’s vision into inviting and stunning living and working spaces. Verónica’s work reflect the best designs, the finest materials and the latest trends to continually adapt to changing lifestyles. Fava Design Group specializes in upscale residential design & yacht interiors. We have the expertise to listen and guide you in creating a personal space that is your haven and your reflection. In a “boutique showroom” filled with joie de vivre, Elizabeth Fountain is able to share her curated sense of style and creativity. The showroom is a shopping destination unto itself. Sheryl Bleustein Interiors has been creating extraordinary artistic interior designs for discriminating clientele world-wide since 1996. No matter the size or scope of your project, our goal is to provide you with courteous, expedient, professional services of the highest caliber. At Melody Smith Interiors, you will always come first! With each project, Deziner Tonie's goal is to give dimension to her client’s vision by producing unrivaled results that exceed expectations. She finds joy in the small things, like demo days in worn, dated, or distasteful rooms into piles of rubble that rise from the ashes into gorgeous kitchens, bathrooms, and beyond. “OUR HOMES SHOULD MAKE US HAPPY!”, "When you enter a room that she has designed "I WANT THE ROOM TO GENTLY WRAP ITS ARMS AROUND ALL WHO ENTER, A COMPLETELY GORGEOUS BUT NOT STUFFY SPACE". Embrace the Past • Define the Present • Style the Future Interior Design and Purchasing - Luv2Dezin, Inc Decorating Den Interiors Construction and Renovations - LuvZDezin Construction Services, Inc. General Contractor: CSLB 999592 LuvZDezin Inc. Services Provided 3D Rendering, Art Selection, Bathroom Design, Bedroom Design, Closet Design, Color Consulting, Custom Blinds & Shades, Custom Built-ins, Custom Furniture, Custom Rugs, Decluttering, Dining Room Design, Entry Design, Furniture Selection, Holiday Decorating, Home Office Design, Home Staging, Home Theater Design, Interior Design, Kids Bedroom Design, Kitchen Design, Laundry Room Design, Lighting Design, Living Room Design, Mudroom Design, Nursery Design, Playroom Design, Project Management, Space Planning, Sunroom Design & Construction, Universal Design, Kitchen Remodeling, interior design consultation. Full-service interior design and renovations Over 20 Years of Industry Experience From Malibu to Palm Desert California to Palm Beach, Florida, and many places in between. For almost 20 years Annie Santulli has been creating innovative custom interiors for clients residing from southeast Florida to the Hamptons. The work of a professional can make all the difference. Whether your home has 10 bedrooms, or your apartment is 800 square feet, it can be tricky to create a cohesive look that is representative of your style. That's where a local Palm Beach interior designer comes in. A home decorator will help distill your tastes and ideas into a design that suits the needs of your space. 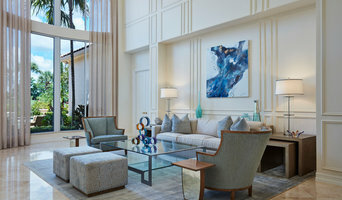 Whether you need help creating a functional space plan, rearranging existing pieces, designing the inside of a new home, or simply sourcing amazing furniture and decor, seeking the help of professional interior designers and decorators in Palm Beach, FL is a must. A good home design professional will hone your style down to its very essence and be able to choose a functional layout that feels natural to you. Interior design companies can be involved as much or as little as the client desires. Many clients who hire an interior decorator in Palm Beach, FL — particularly those who are remodeling — have a good sense of how the room should look and what products they should use. Often clients will insist that interior decorators use the products already present in the house. Other times a designer will need to start from scratch — especially if this is a newly purchased or just-built home. An interior design company will need to figure out exactly what the client needs, which includes organizing rooms, picking flooring and wall colors, and finding furniture to complement it all. Sometimes that means he or she will have to recruit help from other Palm Beach, FL home professionals to help create the perfect look for your renovation. Here are some related professionals and vendors to complement the work of interior designers & decorators: Architects & Building Designers, General Contractors, Home Builders, Design-Build Firms, Photographers. Do your research before meeting with an interior designer or home decorator in Palm Beach, FL. Ask yourself what you want your space to become and what it will be used for. Figure out the extent of what you need help with, what your must-haves are and what your budget is. Interior design services can add up fast, so be up front with a potential design firm or individual from the beginning. Also, pick an interior decorator that fits your style. Browse through the portfolios of different Palm Beach interior design firms and decide if you would live in those houses. Just because you like something doesn’t mean you could live in it. There's a big difference! Find an interior designer or home decorator in Palm Beach, FL on Houzz. 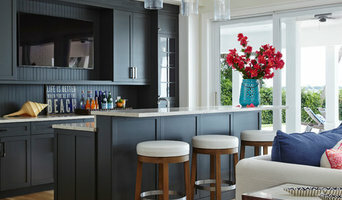 Narrow your search in the Professionals section to find Palm Beach interior designers near you. 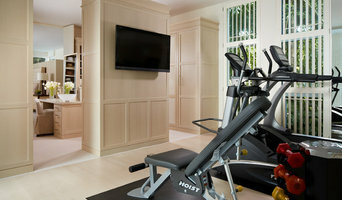 You can also look through Palm Beach, FL photos to find a room you like, then contact the design firm who designed it.